#Office365Challenge Do you get super annoyed when people send emails with non-descriptive subjects? I do, and I’ve been modifying my email subjects for years. Outlook still is the place where we manage our day to day work. As much as I love SharePoint – and everything it offers to ‘enable us to achieve more’, we’re not quite there yet are we? 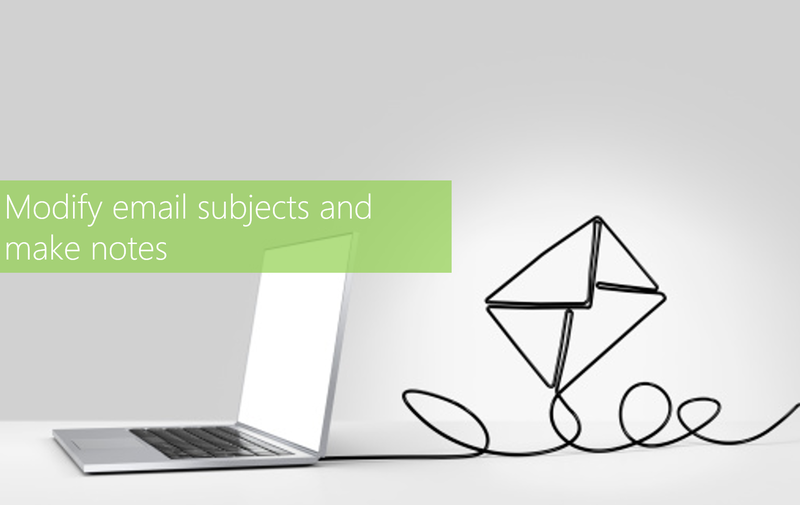 In versions older than 2016, you could just open the email, change the subject and save. In 2016 it’s changed slightly. Make the changes to the message and save. I always use another colour and add my initials as I might open the email later and forget those were my notes (yup – that’s what naughty 40’s does to you 🙂 ). Just be careful as well of forwarding this on again – if those notes were meant for your eyes only. Pretty cool right?! Join me tomorrow for some more Outlook management tips to start the new year with.